This undated photograph shows Carol Orr when she working in Finance. 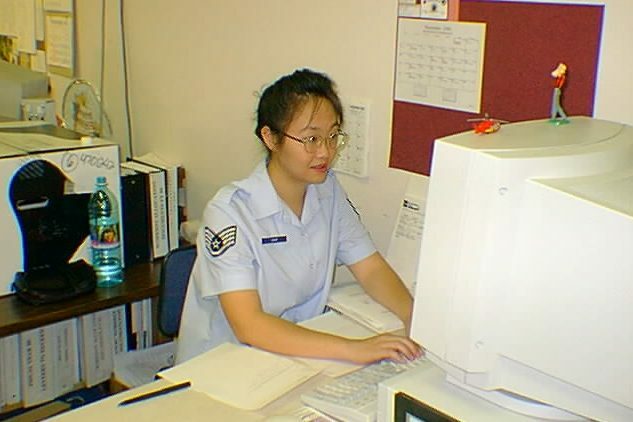 During her career, Carol worked in maintenance, finance, military personnel, communications. She currently works in civilian personnel at the Human Resources Office. Carol was promoted to Chief Master Sergeant in 2017.